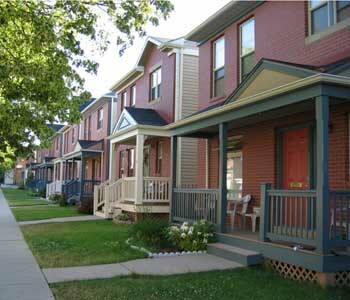 The Mellon Street Revitalization Strategy, accepted with ELDEVCO, addressed a blighted one block area of row houses and detached homes. The strategy focused on improving the streetscape and the livability of the deteriorating row homes by improving the relationship of public and private spaces. Street trees and sidewalk improvements were recommended for the public realm. 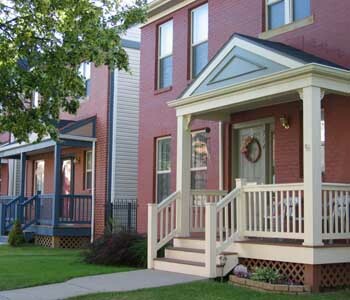 New porches improve the units’ appearance and provide a threshold between the resident and the community. Demolishing every third unit decreased density (a concern of the surrounding neighbors) and provided sideyard amenities for the homeowners.